Implementing a robust wireless LAN requires both knowledge in wireless networks and the proper tools. POSDATA, an expert in wireless networks, is trained on the latest hardware, software, and services to deliver accurate site surveys and complete system coverage. The Cisco Aironet® Series of wireless LAN solutions integrates seamlessly into an existing network as a wireless overlay or creates freestanding all-wireless networks, enabling mobility and increasing productivity quickly and Wireless LAN/WAN cost-effectively. The Cisco Aironet Series sets the enterprise standard for high performance, secure, manageable, and reliable WLANs. With products supporting IEEE 802.11a/b/g technologies, the Cisco Aironet Series offers a complete line of in-building and building-to-building wireless LAN solutions. The line includes access points, wireless LAN client adapters, bridges, antennas, and accessories. 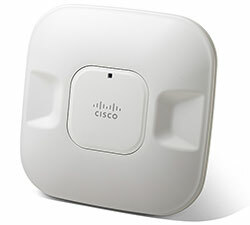 The Cisco Aironet Series is a key component of the Cisco Structured Wireless-Aware Network. The Cisco Structured Wireless-Aware Network is an innovative, comprehensive Cisco IOS software-based framework for deploying, operating and managing hundreds to thousands of Cisco Aironet access points using the Cisco infrastructure. The Cisco Structured Wireless-Aware Network extends to the wireless LAN the same level of security, scalability, and reliability that customers have come to expect in their wired LAN by introducing “wireless-aware” capabilities into Cisco infrastructure. Zebra is a leader in secure mobile information systems that integrate application-specific handheld computers with wireless networks for data, voice and barcode data capture. 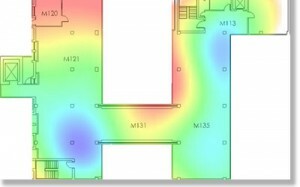 Our engineers are able to utilize the AirMagnet Wi-Fi design software to design and build your WLAN system. Using the AirMagnet method, we begin the WLAN design process by importing data about your facility, such as CAD files or scanned images, into AirMagnet. We tag each wall with a material type, such as sheetrock or brick, from a library of common building materials. Then we place APs (access points) within the sitemap and simulate the coverage areas. By defining expected client locations and application requirements, the AirMagnet simulation engine also predicts how the network design will sustain high data-rate applications. AirMagnet produces a diagram that graphically depicts the recommended access points and the predicted signal strength for the impacted regions. It automatically generates a bill-of-materials and maintenance records for use by deployment teams and in future network expansion. The benefits to our customers include faster and more accurate site surveys, the ability to cost-effectively run multiple “what if” scenarios, and the elimination of costly rework that can result from trial-and-error site surveys. A Radio Frequency Site Survey determines, among other things, the number of unique propagation areas, or cells, of coverage for a proposed wireless system. A Mobility Systems Engineer will provide a detailed site survey to determine the optimal mix and locations of controllers, access points and antennas in order to provide 100% coverage for all the devices on your wireless networks. The generated site survey analysis document details the required location for each base radio and provides information as to the type of cabling required and an overall picture of how the wireless system will integrate into any existing network. A Wireless Network Installation performed by certified network personnel covers the wireless network infrastructure, including the installation, configuration and connectivity verification of switches, routers, controllers, antennas, mobile devices, printers, and other related equipment according to the specifications of the site survey. The services ensure that the network and associated hardware is properly installed and tested based on industry specifications and that the equipment has all necessary system updates and is ready for deployment. The primary challenge of project management is to achieve all of the project goals and objectives while honoring the constraints set forth at the beginning of the project. Time, budget, quality, performance, and results are all aspects that require management to ensure success. POSDATA creates a single point of contact and an experienced field team optimizes the project environment and delivers the planned results.